The latest patch has arrived in Quake Champions, offering new tweaks and changes plus details about the upcoming esports Season 2. 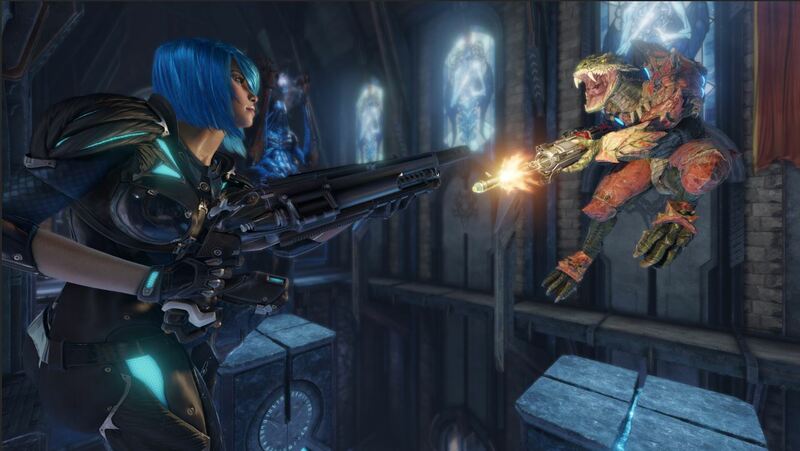 PC shooter fans with a knack for competitive gameplay are getting treated to plenty of new content in the latest Quake Champions March 2019 update. Among bug fixes, performance tweaks, stability improvements, and new Vanity items, the latest Quake Champions update is also meant to usher the game into its second esports season. Keep reading to learn more about the latest Quake Champion update and patch notes to stay fresh on everything new in Season 2. The Quake Champions team have been hard at working making sure the game is ready for the upcoming 2019-2020 esports Season 2. Alongside the developer's preparations is the massive March 2019 update to the game, with patch notes in excess of 4,000 words. According to the patch notes featured on the official Quake Champions website, the latest March 2019 update includes fixes to server networking, client rendering, general performance, stability, and much more. The patch notes also includes a frankly exhaustive list of bug fixes touching on everything from crashes to removing several hundred megabytes of "unused UI assets," which should help squeeze a few extra frames-per-second out of less-powerful PC hardware. Of course, most fans will likely be more interested in the update's new Vanity items. These include the Flintlock starting shotgun, Tesla Lightning Gun, Athena's Queen of the Sky, Clutch's Turbocharger, Keel's Laser Triangulater, and the Death Knight's Eye of Y'rmemae, among others. For more details about these, be sure to check out the official Quake Champions March 2019 update patch notes. "We’ve witnessed some of the most exhilarating moments in esports across our Quake Champions tournaments, and we’re just getting started. Our world-class competitors will once again get the chance to prove their skill in the new yearlong 2019-2020 season, which kicks off with a Duel tournament at QuakeCon 2019 and leads up to a World Championship at QuakeCon 2020—the 25th year of QuakeCon!" Beyond all of this, the Quake Champions March 2019 update patch notes also indicate that id Software has re-enabled Twitch drops, giving players the chance to earn some easy Shards and Reliquaries. Be on the lookout for the start of the Quake Champions esports Season 2 later this year, and stay tuned to Shacknews for future updates.